Girls in ICT Day 25th April 2013. The day has come! Last Thursday, 25th April, the European Parliament hosted one of the events of the International Girls in ICT Day, an initiative by ITU (International Telecommunication Union) Member States that aims to inspire girls and women into pursuing careers in the area of ICT. As the core of g4g’s mission is to encourage girls into science, engineering and also technology, we could not miss it. 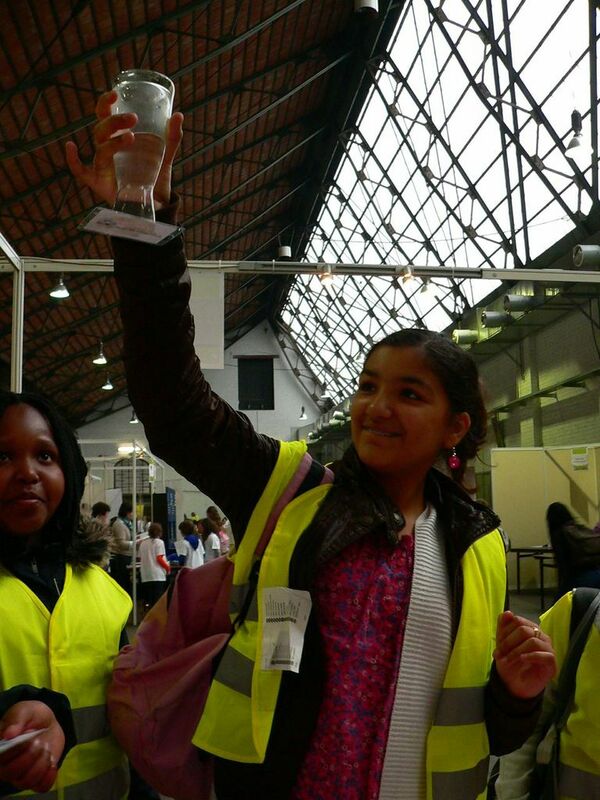 greenlight for girls is very proud to have been part of the 10th European School Science Symposium, that happened in Laeken, at the European School Brussels IV. The European School Science Symposium was a 2-day competition between students of European Schools from many countries, who presented very interesting scientific projects, such as a voice-activated dog jumping from its kennel, the nitrates and nitrites in cooked ham and how music students and bilingual students are better at multitasking (so, great news for the European School pupils, as they speak multiple languages! ), among others. We were there to engage students into some cool experiments – the daisy experiment, our specialty, the magic milk and the lava lamp – to show them that science is fun and that they can learn about many “mysteries of nature” just by trying some simple tricks. 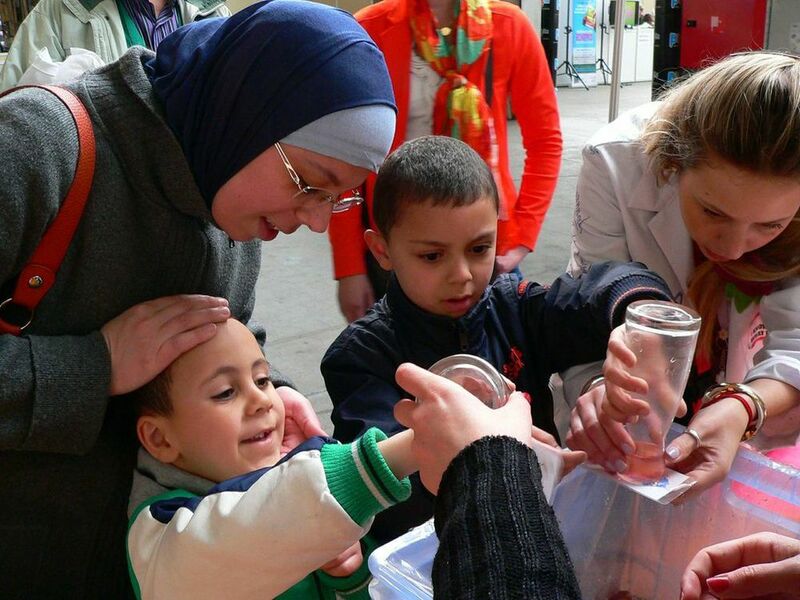 Despite the heavy snow that fell in Brussels during the second day, we had an amazing time in the Science Symposium, as we could engage and entertain some very curious students (girls and boys) eager to see magic happening with the daisies, the milk and the lava lamp. We also got to meet teachers of European Schools from different countries, which helped us to spread the message of greenlight for girls to adults whose work is to be role models for children and teenagers. We would like to thank Andrew McCalister, a teacher from the European School in Laeken who helped us with everything we needed in order to have a great event. Now, we can’t wait for the Science Symposium 2014!